The two men charged with involuntary manslaughter for the 2016 warehouse blaze that killed three dozen partygoers will face trial in Oakland early next year, their lawyers said Monday. 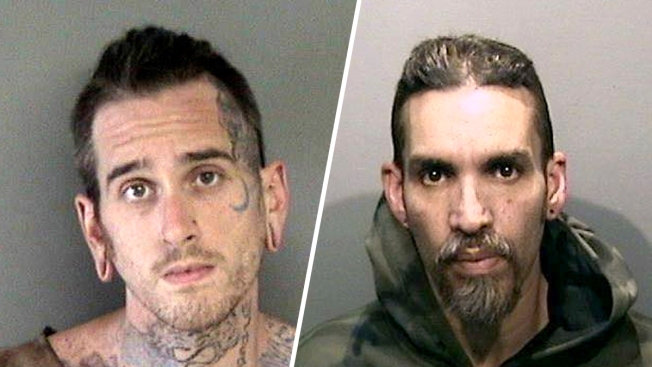 Derick Almena, 48, and Max Harris, 28, each pleaded no contest to 36 charges of involuntary manslaughter before a judge vetoed a plea deal worked out with prosecutors. Judge James Cramer rejected the deal after he ruled that Almena didn't show sufficient remorse during a two-day sentencing hearing. Almena rented the Oakland warehouse and illegally converted it into a residence, entertainment venue and work space for artists. Harris helped Almena collect rent and schedule concerts. A fire killed 36 people attending an electronic music show in December 2016. Investigators said they can't determine the cause of the fire, though they ruled out arson. The lawyers had contemplated moving the trial out of the San Francisco Bay Area, citing adverse publicity. In particular, there was widespread media coverage of Almena and Harris acknowledging their guilt and apologizing to victims' families before a plea deal collapsed this summer. On Monday, the lawyers said polling of possible jurors left them satisfied that Harris and Almena can get a fair trial in Oakland. Harris' attorney Brian Getz also said a change of venue could have worked against the tattooed, long-haired defendants if the trial was assigned to a politically conservative county. A trial date won't be scheduled until a judge on Nov. 9 decides on Almena's demand that the scuttled plea deal be honored. Almena's attorney Tony Serra argues that Judge James Cramer exceeded his authority when he rejected a plea deal brokered by another judge that called for Almena to serve a nine-year sentence. Harris' attorney Tyler White said Monday that they are looking forward to a trial and don't want to resurrect the plea deal, which called for Harris to serve six years in prison.